El Paso International Airport is an easy one-hour drive. 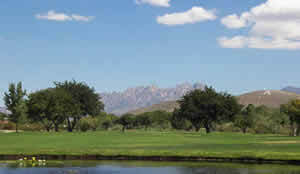 Convenient shuttle service between the airport and Las Cruces is available. From the North: Take Interstate-25 south to University Ave, Exit 1. Continue heading right on the exit ramp. Proceed west on University Ave. NMSU is on your left. From the South: Take Interstate-10 to Interstate-25. Exit Interstate-25 North to University Ave, Exit 1. Turn left on University Ave. and cross over the highway. NMSU is on your left. From the West: Take the Main Street Exit #142 (off of Interstate-10). Turn right on Main Street (northbound), and then right on University Ave. Continue to proceed east on University Ave. NMSU is on your right. 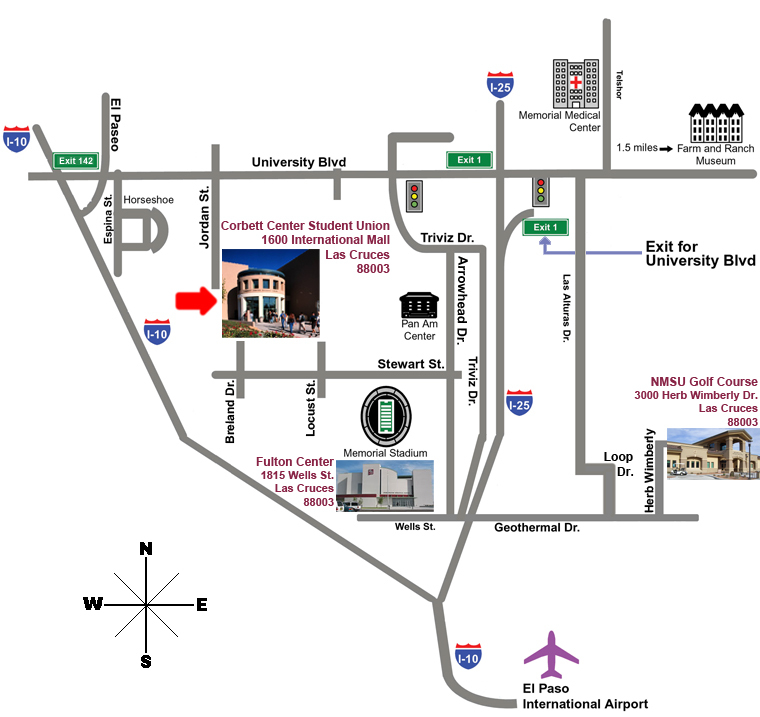 From the East (Northeast): When entering Las Cruces off Hwy 70, take Interstate-25 south to University Ave, Exit 1. Continue heading right on the exit ramp. Proceed west on University Ave. NMSU is on your left.